Bishop Jerome H. Ross Sr.
Bishop Jerome H. Ross, Sr., a native of Mansfield, Ohio acknowledged his call to the ministry in 1954 at the age of 15. He possesses a Bachelor Degree in Theology from the Tennessee School of Religion in Memphis and an Honorary Doctorate Degree in Divinity from Morris College in Sumter, South Carolina. He was consecrated to the office of Bishop by the Full Gospel Baptist Church Fellowship in April of 1995 and served for ten years as the Bishop of the Pastors Division which was comprised of over 1000 pastors internationally. His numerous achievements and awards include induction into the Martin Luther King, Jr. Board of Preachers (also known as the Preachers’ Hall of Fame) at Morehouse College in Atlanta in March 1998. Through the years, he has served on many boards, has held offices in many organizations and is a founding member of the Brothers of the Common Life. He has been honored to meet three U.S. presidents: President Jimmy Carter, President Bill Clinton and President Barack Obama. In October of 2012 a two day meeting was held at Triedstone at the request of fourteen pastors from Ohio, Georgia and Pennsylvania who desired for Bishop Ross to formally become their father and to establish a fellowship of pastors and churches. As a result of the meeting, Kingdom Connection Fellowship International was formed and Bishop Ross became the Presiding Prelate during an enthronement service on June 18, 2013 under the direction of Bishop J. Delano Ellis, Metropolitan-Archbishop of the Joint College of African American Pentecostal Bishops. As of 2017, there are over 100 members in twelve states, the Bahamas and Nigeria. 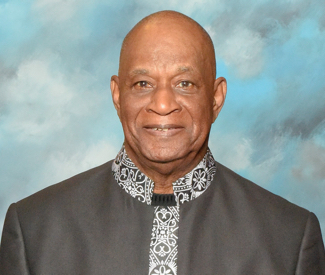 Bishop Ross served as Senior Pastor of Triedstone Missionary Baptist Church from April 26, 1966 until December 31, 2016. During his over fifty year tenure, he led Triedstone through several expansion programs resulting in the formation of the Triedstone Campus which includes the main church building with sanctuary, the Triedstone Annex which serves as a rental location for a church and the J. H. Ross Family Life and Community Center. In 2006, he introduced the “Fresh Power Conference” renamed to “Fresh Power Convocation” in 2014 which continues to bring local and nationally acclaimed preachers and teachers to Columbus in June during the week after Father’s Day. Bishop Ross is married to the former Patricia A. Johnson; is the father of one son, Jerome, Jr. (wife, Melissa) and one daughter, Krystal. He is the proud grandfather of Tiara Nicole, Jasmine Hannah, Jalah Haley and Justice Jerome. Bishop Ross’ retirement from pastoring is not a retirement from preaching, teaching and lecturing. He continues to be sought after by churches and organizations who desire to benefit from his wisdom and experience.